Bubble of pleasure in the heart of a prestigious place, the Spa of our 4-star hotel Le Splendid opens you the wonderful doors of a unique sensory parenthesis. This Art Déco spa is an invitation to relax in a 1800m2 environment in the heart of Dax, embellished by its colossal and grandiose architectural decor. Its sumptuous spaces are dedicated to relaxation and sensoriality. We have designed the spa of our 4-star hotel by imagining different spaces and different atmospheres that you can discover according to your desires. Close your eyes, imagine a wellness bubble that invites you to a unique sensory journey. 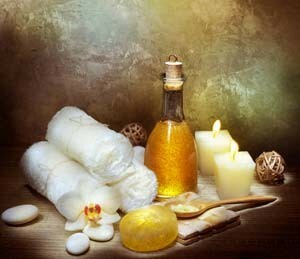 We propose a wide choice of spa and relaxation treatments, massages and beauty rituals with the most innovative treatment techniques to satisfy each of your desires. We will offer you a top-of-the-range service, thanks to the expertise of our team of professionals and our natural and sensory products with unique textures. We offer you a taste of this sensory journey imbued with the quality, authenticity and ceremonial character of our four spa spaces in Dax. Give your skin a real makeover. A hammam, sauna, 15 cabins for face and body care, including 2 duo cabins with sauna / hammam and shower experience. Firm up your body and enjoy our facilities to feel better about yourself: room with fitness and cardio equipment, dance classes. Several treatments and cures will be proposed to you and once your sensory break is over, you can always prolong the pleasure with one of the Detox cocktails served in the three bars of our hotel in Dax.